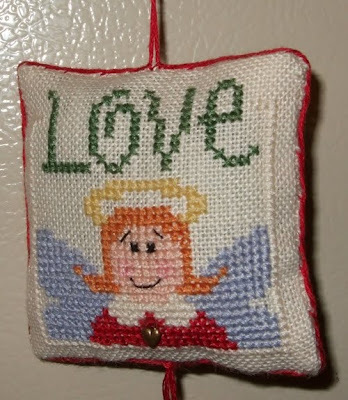 Cindy's Stitching Korner: Wow, Another Post!!!!! I know that I am actually posting twice in just a day or two so whats wrong with me! LOL Nothing actually, just got some stuff to share!! First of all, you gotta check out the The Needle Show that is coming up November 5th through the 8th. I will actually have a booth at this one!! Not sure if it is going to be as popular as the online show that just ended a week or two ago, but hey it is worth a try, right? There are a lot of vendors already signed up, so hopefully it will go over big!! I wanted to share the instructions for making my own cording. I had a lot of people ask about it, so I thought that I would pass it on. You can go over to Tales of a Shooting Star and get the instructions that I used to learn. Now I am not good at following instructions especially when they don't have pics! LOL But these instructions are really easy to follow!!! I do not use any gadget or anything to make the cording but I do use a pair of scissors as a weight though. I also wanted to let people know, that the "Welcome to our Zoo" pattern that I got so many comments on in my post before last is up for sale on my store page! It is part of the Paw Prints Collection that I put up for sale about a month ago!!!! Your ornament is adorable. No wonder she loves it! Thanks for the info about the Needle Show. I completely missed the last one since my internet went down the day before the show and came back up the day after. What a wonderful ornament. I love that it is two sided so when it twists on the Christmas tree, there will always be something beautiful to look at! I was just catching up on blog reading, and read your Monday post...I agree everyone seems to be in this grumpy funk right now. Maybe it is due to the change in the weather or the upcoming time change; but whatever it is, it would be nice if people would just put a smile on! Sounds like "Welcome to our Zoo" is a hit! ya-hoo! Cute exchange! Good luck with the retail show...must go take a look. Was too busy to check out the online one. Great exchange!! That series is the next project that I have set to start after I finish Holly. Great exchange - I just sent an e-mail to the group asking about this show. Is it related to the other one or a spin-off of sorts? Pics and name are different. 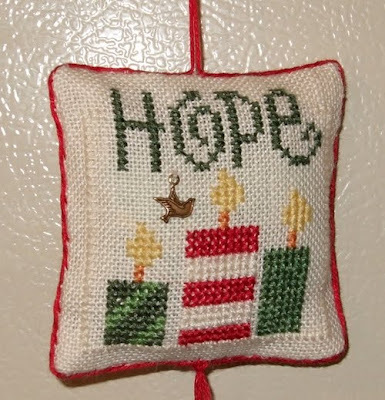 I love the idea that it is two sided, and your stitching is lovely! Your Lizzie Kate ornie looks great! you did a wonderful job! Your Lizzie Kate ornament is lovely! Visit My Stitching Pattern Shop by clicking the banner below! Goodbye home schooling, Hello public school! Treetop Walking and Zip Lining! Become a Fan of Cross-Stitch & Needlework magazine! Treat or Treat . . . Smell My Feet . . .
What is it with people?????? Animals, Stitching and a Giveaway!! !